You Video Gallery one of the modern and Cool WordPress YouTube Video Gallery Plugin. It works perfectly for any WordPress Website and suitable for any type of Theme. This is a Responsive Plugin and adapts with any modern browser. If you are trying to create a Website for video then you should choose this plugin for your Website. You can showcase any video or playlist or channel with this plugin. Don’t forget to choose a perfect Video ID, without perfect ID it will not work. Shortcode: [yvp listtype="user_uploads" video_id="PLfdtiltiRHWH9JN1NBpJRFUhN96KBfPmd"] – If you want to showcase all videos from a user uploads then try this shortcode. Shortcode: [yvp listtype="playlist" video_id="PL92D03D9BED0E5588" maxwidth="500px" center="true"] – If you like to showcase a playlist then you should try this one. Don’t forget to change the maxwidth size if you need more then 500px or less then 500px width. Shortcode: [yvp listtype="playlist" video_id="PL92D03D9BED0E5588" maxwidth="40%" right="true"] – This one is exact like the previous, but here you can control your maxwidth with percentage. Shortcode: [yvp listtype="custom" video_id="gFftC9O9EZ0,-Fv-iUhLcys,Vv2YXjCWg1A,eIa7YxlHq3A" left="true"] – If you like to sowcase multiple videos with it’s ID then you can try this . This is the best way to create a perfect gallery in your Website. Try these shortcode and if you face any problem with these shortcodes then feel free to contact with us. We will fix your problem. 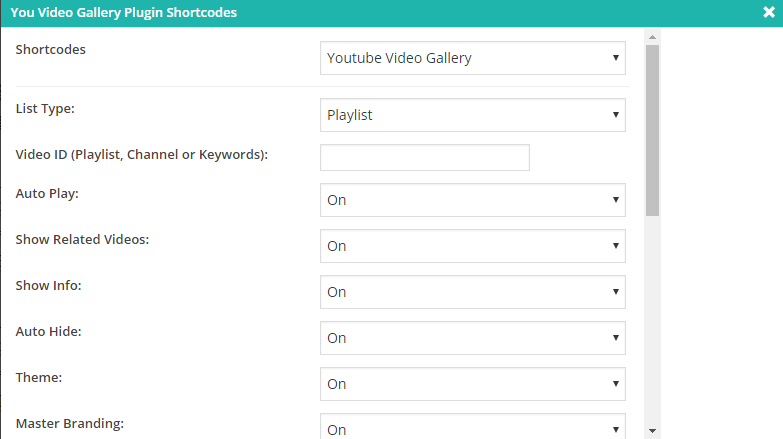 We have added a powerful shortcode Generator for you. You will get huge feature to control your YouTube videos, Channel, Playlist. 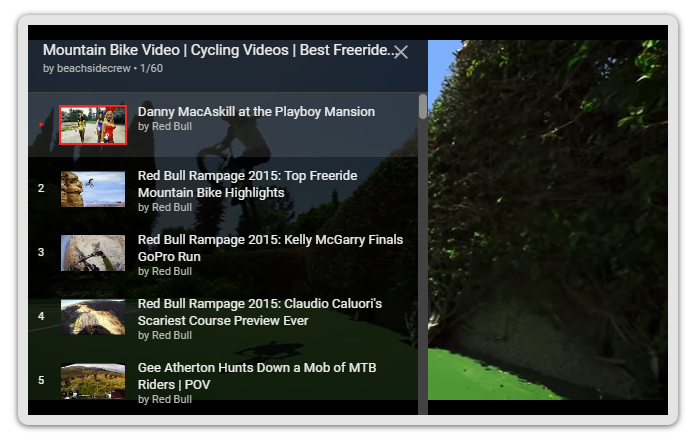 We have recently added one custom Theme for the YouTube player. We are working on adding more different types of Themes for you. Now Working the playlist is super easy for you. Just follow our guideline in the video and you can do anything with this plugin.